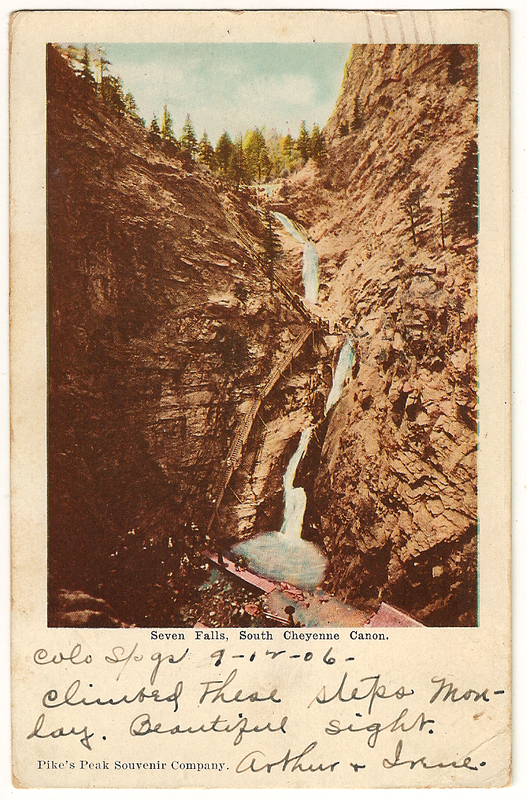 Seven Falls, South Cheyenne Canon. Climbed these steps Monday. Beautiful sight.. The view must be breathtaking. Wish I had climbed these steps instead of The Great Dune Pilat in France. Missed my chance. Climbing is out now.